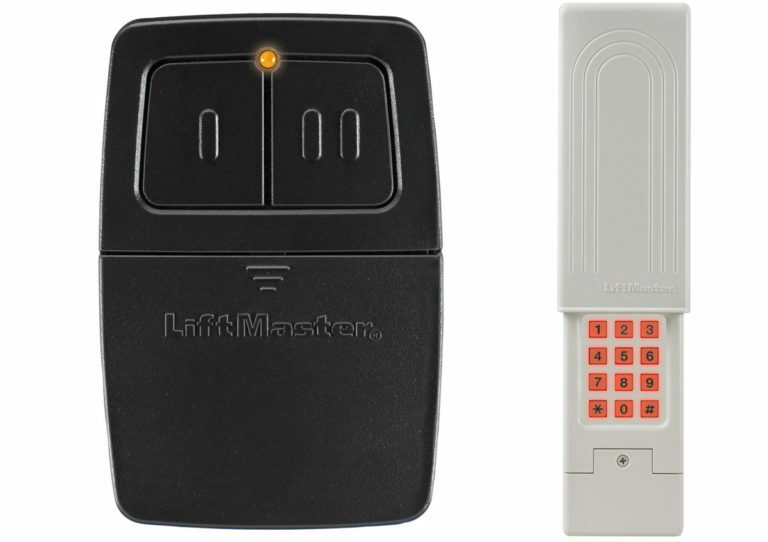 Liftmaster 375LM-Dual frequency/dual manufacturer design -buttons are independent so it can control two different garage door or gate manufacturers / frequencies at the same time. LiftMaster 387LM Universal Keyless Entry System – If you need to replace a damaged or non-functioning keyless entry, or just want to complement your existing garage access system, the new LiftMaster Universal Keyless Entry is the perfect single-source solution. It is designed to work with a variety of brands of garage door openers to give you convenient, secure access to your garage and home. And as with all our LiftMaster products, delivers the latest technology in security, convenience, and performance.